Jupiter's transit over the Ascendant of President Obama hasn't helped him to quit smoking, but with progressed Venus square Midheaven right now, we know that he can rejoyce in a good condition anyway. The doctors said that he is in excellent health (see Business Week). Venus, the symbol of harmony and pleasure, often makes wishes come true, so who knows...maybe he wished that his health bill passes:). Here below is the chart of a man who has been adviced to bring his cholesterol level down and...quit smoking, and here is the link to the smoker in the chart of Barack Obama...For more about and around Obama, just click the label. This is the chart of a heavy earthquake followed by a tsunami in Chile, starting at 3:34 local time in the region of Concepcion*). Saturn is exactly on Midheaven. In the chart of the earthquake in Haiti, Saturn was also on the meridian (on the IC). Varuna (named after the Indian god of the waters) is on the Descendant, opposition the Node. Here is the chart of the earthquake of Haiti. When I read about the political manoeuvres in Turkey, I looked at the chart of Turkey again and I included the charts of the leaders. In short: the Uranus-Pluto conflict in 2011/2012 is in hard aspect with the nation’s probable Ascendant and the nation’s Mars. The conflicting planets are also in hard aspect with the progressed chart of the President. What happened now? The AKP government of Turkey arrested members of the (ex-)military top, accusing them of planning a war against Greece, terrorist acts against religious institutions and more. The AKP is a religious (islamist) party. They had a democratic majority in 2007. The army's goal is to maintain a secularly society. That is in (very) short the situation of today. For more, see Al jazeerah…. For the astrological situation in 2010, scroll down. 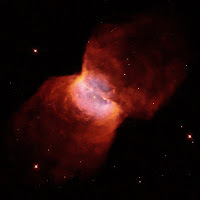 - In 2012 Uranus is square Pluto and in hard aspect with the Ascendant-Descendant of Turkey. - In 2012 Uranus and Pluto will make hard aspects with Turkey’s Mars at the same time. - That is also when Recep Erdogan will have transit Saturn conjunct progressed Saturn, both in opposition with his progressed Sun. Often these kind of combinations refer to stepping back*). - And that is when Abdullah Gul, the President, will have transit Pluto conjunct progressed Sun in Capricorn, opposition the Ascendant of Turkey and all that square transit UranusThe dangerous period of life is rather long lasting: right now (!) his progressed Sun is in the 6th degree of Capricorn, conjunct transit Pluto. It will return in January and November of 2011 and in 2012. There is a sort of a constant pressure and stress. Here is the chart of the positions on his day of birth, with progressions and transits for 2012. It is such a clear reflection, that I'd almost start doubting it. Most major changes don't present themselves this way. It might just mean that there is change in the personal lives of the leaders. The chart of Turkey might not be correct, a quarter of an hour and all that is left is the conflict with Mars. But: Mars is the symbol of the army! The Mars-Uranus-Pluto combination could reflect a military revolution. Anyway, for the leaders personal hard times are coming up. But there is one consolation for Turkey: from October 2012 till May 2013 transit Jupiter square Midheaven promises that help, progression and growth will be on the way and things will start getting better…Today however, Saturn is down under in the nation's chart. The chart of Turkey is reflecting a depressing situation right now. Saturn is at the lowest spot of a chart; it means that the status (quo) is low. Transit Pluto conjunct Progressed Sun of the President is reflecting stress. *) In the chart of Erdogan, Saturn will become more and more important. Erdogan had his birthday yesterday. His progressed Sun changed sign about 3 years ago. Transit Saturn is right now inconjunct the progressed Sun and that is more or less the combination of the lame duck and a status out of balance. On the other hand, Jupiter was recently conjunct his natal Sun and is now square Mars and trine Jupiter, showing good results of an action. Here are the positions on his day of birth, with progressions and transits for today. For more about inconjunctions with Saturn in politics (like mr. Erdogan is experiencing right now), see the posts about the (late) Dutch government and mr. Gordon Brown here.. . Above is the chart of the day of birth of Wayne Bridge. The transits in the chart above are for the day of birth of his former best friend John Terry. What is the story and why now? One month ago the past friendship between Wayne Bridge and John Terry was hot news; this weekend they will compete each other in a football match. Now that Wayne found out that John Terry had with Vanessa, his (now?) ex-partner and the mother of his child, he quit the national football team. He doesn’t want to play games with John any more. But he will fight him in a match soon (Manchester against Chelsea this weekend). That is why this post is now. It is because I wondered: where in the chart do you see the friendship and where is the end of it? What is their astrological match? Romantic matches work the same way as the match between friends does. So I use about the same procedure. There is a difference however: it is about friends. The conflicts between the symbols of the ladies (Moon and Venus) could be read as the reflection of what their conflict is about: women! There is also an indication for competition (Mars square Mars). The conflict may be bad for playing in the same team, but they might be very stimulating for the next match. Both men have the Moon rising before the Sun (Mercury and Venus). PS Cherchez la femme in this story. Her name is Vanessa Perroncell and she doesn’t seem to have a d.o.b. 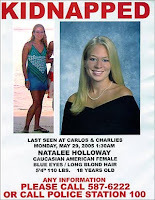 On this blog you find a lot about the case of the disappearance of Natalee Holloway (see the positions on her day of birth, transits and progressions for today) and about the person who might have been the last one to have seen her alive: Joran van der Sloot.. A few days ago he appeared on Dutch television with another confession, this time he even showed emotions. But, good to realise this, the confession had been offered to television last year, before the father of Van der Sloot died and has been questioned. He never mentioned a specific place where he left the body of Natalee. Follow the link to see more about his chart (no hob). Remember? Natalee made a school trip to a tropical island and spent the night with two local boys. She never came back. It is a story about the effect of Mars-Pluto. The combination of these planets keeps coming back in the natal positions, the synastry, progressions and transits of the day of the disappearance and ...of today. Natalee Holloway had Mars tightly square Pluto in the natal chart. Her Mars afflicted the Pluto of Joran, who has Uranus semi square Pluto (and a very wide Mars-Pluto conflict, with both planets in aspect with Saturn). Joran had Pluto conjunct Uranus that day and sesquisquare Venus. He also had Mars sesqui square Pluto. So coincidentally they had the same sort of transit on the same day, added with the aspects that they already shared;**) the combination of danger. The progressed Sun of Natalee is now square progressed Mars and progressed Mars is quindecile (165 d.) Pluto. Joran has the same kind of combination now: Transit Pluto trine progressed Sun and sesquisquare natal Pluto. The same aspect combination that is dominating the relationship and the date is being highlighted again this year. See the charts. Maybe this aspect offers a challenging chance to change his lifestyle and come up with the truth. It would be a consolation for her family to know where her remains are. Up to know there is little evidence that Joran van der Sloot feels sorry for the family. Mars-Pluto: could be destructive as it is about using power and force. In a team of sportsmen this aspect can empower the joined forces. I think that the key to the combination might be the value (Pluto) of secrets (Neptune). Authors of detectives, detectives, magicians and spies (and maybe also poker players?) have prominent Neptune-Pluto combinations in their charts. When the combination appears by transit or progression you might be forced to be discrete, to keep a secret or ...reveal it at a certain price only. It is just the theme (the value of secrets and mysteries) that is important. How you handle it depends on character, situation and conditions. But, it is always about knowing what the others don't know...yet. Did, by any chance, Tony Blair ruin the life of Gordon Brown? Perhaps. With Mars inconjunct Saturn and Moon opposition Moon there are enough problems to solve between then, in spite of the Venus and Jupiter of Blair. It seems to be a rather complicated relationship. I have experienced the effect of Mars-Saturn and I am certain that it is a destructive combination in synastry. Mars is teasing; Saturn is putting down (see Cafe Astrology about the synastry of Mars and Saturn for more). Add just a little bit of aggression, a knife or a gun and the theme of death can manifest itself. It is difficult to see who 'done it' when Mars-Saturn hurts. I have two more examples of the Saturn-person being attacked. 1. Amy Bishop's Mars was square the Saturn of two of her victims. 2. Another example of Mars-Saturn synastry is the story about the Detroit hero. The Mars of Jasper is conjunct the Saturn of Umar Farouk Abdulmutallab and the Mars of Umar is inconjunct the Saturn of Jasper. They also share a Mars-Saturn aspect. Maby it is rather hard to see who is the victim. It depends. But the examples above and my own experience is that Saturn is the one getting hurt and Mars is the one who hits or hurts, the actor. It is (sometimes litteraly) deathly and killing. In the synastry between Gordon and Tony Gordon is Mars and Tony is Saturn, but...there is an inconjunction. And an inconjunction with Saturn shows disproportionate disadvantage and restrictions without balance. Mars inconjunct Saturn is a bad aspect in synastry. A deathly serious matter (Mars-Saturn) migth have caused that the two are at cross-purposes ever since. Of course, that is not all. Their Moon signs don't match. Brown's Moon is in the royal and sophisticated Leo, while Blair's is in the rather 'indifferent' Aquarius. The Moon in Leo needs to be the boss and take the lead and all the while Tony Blair was the man in charge. Also, their Suns are 75 degrees apart (who is the boss, that is the question, again). So in general, even though there is a basic sympathy the men have a competition problem and they have such different kind of styles and ways to react, that it will be hard for them to join the same family or party. And that is what they did:). Former baseball player Jayson Williams shot his limousine driver in 2002 and was convicted to 5 years in prison today. Today he had transit Saturn inconjunct his natal Sun and transit Saturn + Pluto afflicting his natal Mars. Together with transit Uranus conjunct progressed Mercury this is the perfect reflection of the news(Uranus)report(Mercury) of being found guilty (Sun-Saturn) for killing (Mars-Saturn-Pluto). Eight years ago, when the shooting took place, his progressed Sun was in the 8th degree of Aries, right between Mars and Saturn, and also quindecile Pluto in the 23th of Virgo. There is a connection between that moment and today and that connection is Mars-Saturn-Pluto: the combination of violent death. The midpoint combination of Mars/Pluto=Uranus is attributing to impulsive actions and that is corresponding with the fact that he was not convicted for first degree murder (planned murder) but for man slaughter. Here is the chart with transits and progressions of the end of February 2002, when the killing was. There has been more than one violent incident in the life of Jayson Williams. Last April there has been an incident that appeared to have been an attempt of suicide. The Mars-Saturn-Pluto connection seems to have a prominent place in the life (and possibly also in the natal chart with hour of birth) of Jayson Williams. For more examples of the Mars-Saturn-Pluto effect, see the labels. Here is the video of CBS where Jayson says that he is sorry. Not so long ago Jayson Williams had transit Jupiter conjunct his Sun, but I can't find the positive effect of this transit. Maybe he was also skipped by Jupiter or maybe 5 years for accidental (reckless) shooting isn't that much in the USA? When I read about Gordon Brown and his complaining staff, I remembered his natal Sun inconjunct Saturn. This inconjunction is about finding balance (inconjunction) between you and your position and life/lifestyle, however high or low, free or restricted, short or long it may be. And sometimes that is hard to do. Sun inconjunct Saturn in transit is the reflection of your position when this is no longer in a straight line. It is reflecting you when you are not in the position that you should have at that moment in time. Something starts pulling your back or you miss the proper skates for the thin ice. There also seems to be no balance between what you did and what you got. That is when you start falling, break a hip or get depressed and/or exasperated. That is when your staff starts complaining about you, if you are a manager. And that is when you and your boss are not in line about your career, too. This aspect - in transit - easily brings you out of balance because of demands, debts, obligations, punishment or a nasty manager. Most of us survive several inconjunctions of transit Saturn (though we might not easily forget them and the effect might be longlasting). The progressed Sun inconjunct Saturn is a different story. You sort of slowly glide into the wrong position. You have to take care not to go down hill when your progressed Sun is inconjunct Saturn and watch your health. In a natal chart the effect of Sun inconjunct Saturn is sometimes even harder. You might have to learn to live with a depressing restriction, lost or tragedy. There is always a 'but' with an inconjunction, but sometimes it is hard to find consolation and compensation, because it is a heavy (Saturn) lost (inconjunction) or a heavy load to carry, like the responsibilities of parenthood. I am afraid that Sun inconjunct Saturn is not the most desired aspect and that is an understatement. You are lucky if it is being compensated by more fortunate and pleasant reminders of the bright side of life. (Gordon Brown has a 'calling' Jupiter (without major aspects). A calling Jupiter is the symbol of positivism at any possible level. Maybe that helps him. But it apparently doesn't help his staff right now:). Gordon Brown has Sun inconjunct Saturn in the natal chart. Gordon Brown lost a prematurely born daughter and one of his two sons has cystic fibrosis, all from 2002 on. This, he said, changed him and his wife. Here is his chart. Check your ephemeris and remember what was going on during the transit of Saturn 150 degrees from your Sun or Midheaven. Maybe that is when you had the position of a lame duck or you were supposed to be number one and in the end you didn’t (you lost), like Susan Boyle's finale . Here below you see 2 more examples of Sun inconjunct Saturn in the natal chart amd 7 examples of the effect of Sun-Saturn inconjunctions in transits and progression. Of course, those are pretty heavy examples. Often 'all' that you will notice is a promotion being denied because you and your management have different levels in mind. Or you have to give up something that gave you status (and you had to move to a smaller office or buy a cheaper car or house). And if you get a promotion with this aspect, beware! There might be a disadvantage that weighs more than you think it will do. You might have to give up on some important thing in life or lifestyle and you might regret this later. My advice: in order not to fall hard, keep a low level and beware of thin ice! 2. Amanda Knox has a natal inconjunction between Sun and Saturn. She faces years in prison. 1. Skater Gretha Smit (1976.01.26) had transit Saturn inconjunct progressed Sun, when newspapers revealed an accusation about trying to buy a starting place from a Polish skater (the accusation is being investigated). 2. Sportsman Franck Vandenbroucke (1074.11.06) died in the year after P Sun inconjunct P Saturn. 3. Miep Gies, see the post died at age 100, after falling during transit Saturn inconjunct Sun. 4. An important Dutch statesman had transit Saturn inconjunct Sun when he was forced to step back after signing fraudulous declarations (of another politician). The Labour party members of the Dutch government stepped back last night and now there is no government in The Netherlands any more. CNN tells the story short and efficient: there was a major conflict about the troops in Afghanistan and that was the XXth disagreement. It was a television marathon (from drama to slapstick and back). There will be new elections within 3 months. There are three charts that I like to show you. The chart of the day that this government started, the chart of vice PM Bos (who initiated the fall) and the chart of PM Balkenende (in an earlier post about him being 'a lame duck' with transit Saturn inconjunct his MC when he failed to become the first European President). Transit Saturn is now exactly inconjunct the natal Sun of the government and opposition the Midheaven of Wouter Bos, who has Sun inconjunct Saturn in his natal chart. The chart above is the chart of the day that this government started (Monday it would have been 3 years ago). With the knowledge of today (a phrase used a lot in the Iraq discussion:): see the amount of sextiles and trines for the easy way out...! The next government will have to deal with a 35 billion reduction of expenses (or with more taxes) and many other problems that this government failed to solve. The chart below is that of the Labour vice PM, Wouter Bos, who was the leading figure in the final drama of this coalition. The Davids report seems to have a bad effect for British Labour, too. Mr. Gordon Brown’s progressed Sun sign is changing, and in March 2010 transit Saturn will be inconjunct his Midheaven (right after transit Pluto on Midheaven in February). Tiger Woods was on CNN today (see the breaking news) with transit Uranus exactly trine the progressed Midheaven. Uranus is the symbol of excitement and breaking news. When he became a hot news item, transit Uranus was on his Descendant. Tiger Woods made a statement (see Golf.com) about how sorry he is. Transit Saturn exactly square Progressed Sun tells me that he means it. It is a very depressing transit. On September 11, 2001 the world was very positive about Bernard Kerik and he became 'a hero'. That was when his progressed Sun was conjunct Neptune and sextile Pluto, semi square Sun. The progressed Sun was sextile progressed Jupiter. Also, transit Jupiter was sextile his natal Sun. There were fans, there was success and Jupiter was on his side (with a sextile, however, and I personally don't like sextiles:). There was a positive moment (Jupiter-Sun transit) while his life style was more and more criminal. Neptune-Pluto is the combination of sometimes dangerous secrets: Neptune-Pluto is about the price you pay for what you hide or the price you get for your fantasy. Now he is an official criminal and fraud. He has to spend a few years in a State prison. Transit Neptune is now in the 27th degree of Aquarius and that is 165 d (quindecile) from the natal Sun, sextile his natal Neptune, opposition his natal Pluto. Transit Pluto is sextile the progressed Sun and square natal Mercury. The same kind of aspects keeps coming back...to illustrate the problem (Pluto) of being a proclaimed living hero (Neptune). Heroes can easily turn into fallen angels. Neptune is often there when things are not like they seem to be and when human beings are being confused with their imago. It is not easy to walk straight on a narrow path, always. And for some of us it is even more difficult. This is especially so, when you are surrounded by opportunities to choose the other way. Mark Sanford disappeared and had his secrets (revealed). He has Sun inconjunct Neptune in the chart. For more about Neptune or Neptune-Pluto, please check the labels. Claudia Pechstein has an exact sextile between Sun and Jupiater in her natal chart. She just lost the appeal in her doping ban case. Her Jupiter seems to be another 'positive' Jupiter with this negative effect. And the sextile didn't help much either...That is no big surprise, because sextiles (and in particular: a lot of them) have been found in the charts of scapegoats, criminals and their victims and of people who choose the 'easy way (out)' above hard labour and hard choices. See the examples on this blog.... Sextiles make it easy, sometimes the hard way. Of course there is more in her chart, because she has a lot of tight aspects, like Sun inconjunct Pluto and Jupiter inconjunct Saturn and square Pluto. And there is a Saturn-Uranus connection with the Sun. For those interested: see the chart, with Jupiter rising before the Sun, reflecting the positive (...) optimistic international orientation. See Reuters...See the post about Floyd Landis, Beltran, Rasmussen and Marion Jones: famous names related to doping cases and with a Sun-Jupiter aspect in their charts. Click here to see the post.... And see the labels below for more about Jupiter. Here above is a guess (!!!) chart (for the explanation for selecting this hour: scroll down). His true hour of birth is unknown. But there is a lot of information in the astrological positions of the day of his birht to explain the macho politician and the effect in his society. His chart also shows what a difference time and place make...It is a long story. If you don't like long stories, here is in short an explanation of the most important observations. - the isolated position of Mars shows how important energy, sport, fighting, being a man, having muscles, and/or hurting, hitting, beating and striking are. - there is a rather obsessive drive to win and dominate in competition (Mars-Pluto). - we see brutality and the risk of unnatural and violent death(Saturn/Pluto inconjunct Mars); it is also a combination of taking any measure in order to survive or win. - the situation in the Middle East. Here is the complete reading, starting with the most important combination in the chart of this politician, living in a violent world. The isolated Mars is without major aspects, 'calling', which means that there is energy and aggression at any possible level. Such a position of Mars urges to hit, beat, strike and attack somehow. This prominent Mars is quindecile Pluto (165 degrees). That refers to a special focus on using force and violence and to political struggles with some obsessive and intense drive to win. See Astromarkt about Mars-Pluto. Neptune was the first planet rising before the Sun on the day that he was born. Sun and Neptune are conjunct in Scorpio. That means that he has an intense immaterial, ideological (romantic or artistic and/or religious) and possible fanatical orientation. The conjunction is square Uranus, adding the will to 'make the world a better place, my way', based upon that ideology! A leader's chart is often an indication for how the nation is 'doing'. Ahmadinejad's Sun square Uranus and conjunct Neptune might refer to a disaster. The changing sun sign and the trine with Pluto are two indications for change. The 1st degree of Capricorn is in aspect with Quaoar, 75 d) and Mars (75 d), which means that Zero Capricorn is exactly at the midpoint of Mars and Quaoar, and trine Pluto. That is when the dangerous combination of Mars-Pluto-Quaoar in the natal chart will be activated. It might mean war, it might mean his own end and it might be dangerous for the world and his own people. In January of 2011 transit Uranus will be square his progressed Sun for the last time and Uranus will be inconjunct his natal Pluto. That is a perfect statement for a dramatic change like a revolution that will have personal consequences. Transit Jupiter will be inconjunct natal Pluto, mirroring the extraordinary price to pay for success or a success with a price that is too high. In this guess chart there would be a conjunction of Uranus and Ascendant in the progressed chart as well, meaning that his situation (and name) could change. Ahmadinejad has the Sun square Uranus in the natal chart. Any leader with a Sun-Uranus conflict will one day see revolt and opposition, even in his own party, because he wants to change the world: ...his way...and because he is not part of the old boys' network. It might be that a revolution in Iran ends his position. There is also a danger for accidents and arrests. I don't want to 'predict' such a thing because times and situations change (and so should the reading of progressions and transits) and because I recently read about a fortune teller who didn't want to turn the bad fortune letter into a good one and was murdered by her client:). But, there are 3 indications for a major change and following my own 'rule of 3', Í'd be surprised if nothing changed the life and lifestyle of Mahmoud Ahmadinejad before 2012. The world of Ahmadinejad is a violent world, so the effect of his afflictions will be felt hard and with possible violence. His chart is the chart of a macho that would have been perfect in sport. Belgian football coach Franky Vercauteren, born the same day, uses his qualities to be strongly focussed on winning in that field. Dave Wyndorf, also born on October 28, 1956, uses his energy and force by playing guitar the macho way as a stoner rocker. Ahmadinejad, however, choose a political career in a turbulent nation in a tense region instead...In this guess chart I gave Saturn and Pluto important positions related to the Midheaven, because they symbolize political management (and the nasty sides of politics, too). WHAT A DIFFERENCE TIME AND PLACE MAKE! The time and place of birth are related to the lines of the cross in the circle of the chart drawing. But that is not the only reason why it is important to know time and place of a birth. Knowing time and place informs you about the situation. It is such a difference if you were born in a creative well to do and tolerant family or in a poor situation without much perspective! It makes a vital difference for the way that you (must or want to) use your energy and drive... Ahmadinejad was born on the same day as a rocker and a coach and of many thousands who will never reach his position and the level of his anger and power. The combination of his character, background and events in history with chances corresponding with supporting transist and progressions, made him the number one in Iran. Midheaven also refers to a dangerous position. Mars on top, in the combination with Pluto and Quaoar, would mirror the fighter, the soldier above all, with an obsession for a status of power. Pisces on Midheaven is for the religious ambiance and goals. Vesta on the Descendant is a symbol of the importance of domestic issues (keeping the fire burning, dedication). BTW: Vesta is related to the Mars-Pluto-Quaoar combination! And there are more many reasons why I like this chart. Such as Jupiter/Pluto = AC/MC showing his position in society. Stop! !Remember: it is just a picture, just creative speculation and it is just my idea of the ideal chart representing Mahmoud Ahmadinejad! It is a long story, and it could be even longer, but I think that this is enough to see the correspondence between the man in the media and the positions in his chart. President Silvio Berlusconi has a Mercury-Uranus conflict in his natal chart and that is why we know him as a man who says the most controversial things. Another Italian, Beppe Bigazzi has been suspended from 'Ready Steady Cook' earlier this month. That was because this top food writer recommended cat meat and said that he ate it quite often...At least, that is what the audience think that they heard him say. He says that he was explaining that cat meat was eaten in Italy in the 1930-1940's. For the story, see the Daily Mail...See for Berlusconi this link...And for the astrological recipe for famous chef cooks, see this one . Jupiter is the symbol of 'positive' influences. But some people, with Jupiter at hand, are being found positive in doping cases! That is what happened to cyclist Bernard Kohl, athlete Marion Jones, cyclist Rasmusssen, cyclist Beltran and cyclist Floyd Landis. They all had a Sun-Jupiter aspect (minor or major), just like Floyd Landis has. There are links to the posts about them (scroll down). I like to add that an opposition is often related to 'the other side of' (in this case: success). Jupiter is the symbol of support, confidence, coaches, doctors, advisors and coaches. Jupiter symbolizes growth, progress and everything that 'helps you on the way' (horses, cars, and sponsors). A conflict with Jupiter makes it difficult to be happy as you are. In some cases it leads to wanting to be prosperous no matter how. Of course there are more indications leading to the events (as you can see in the posts about the persons involved), but I think that it is amazing that in 5 cases of doping, there was a tight conflict with Jupiter. According to the Belgian newspaper De Standaard the offical moment of the train disaster near Halle (at least 17 persons died, lots of injuries) is 8:28 a.m. Other sources said 8:45 a.m. Here is the chart for the moment of the accident. Like before, Uranus is in aspect with the Midheaven of time and place. For more examples, see the label 'accidents'. Viva Leroy Nash. No this is not a cheer. It is his first name. Viva means: may he live. And he lived 95 years! But the final 25 he spent in prison. He ended deaf and blind, suffering from dementia, but he escaped the execution that they planned for him in 1986. Here is the chart of the day that he was born. Watch the amount of sextiles (5, and a trine) for the easy way out. Use the label 'sextile' to find out more about sextiles and crime. Transit Saturn's square with Pluto (possibly related to the Moon) might have ended his life now. Transit Neptune and Chiron are now opposition his Quaoar and his unaspected Quaoar is rising before the natal Sun. Quaoar is the symbol of creating new realities and worlds. Amy Bishop's day of birth? Amy Bishop is the Professor of the shooting at the University of Alabama. Many sources mention February 1965 as the month of birth. I found another date of birth, too: 04/24/19065. Was Amy Bishop born on April 24, 1965? The University of Alabama mentioned this dob earlier, before the info about her was removed (also see CBS, also mentioning 04/24/1965), using this date of birth, with source . Is this the birthday of Dr. Amy Bishop? In this post I comment the chart for April 24, 1965 at Noon (no matter what place of birth) as if it is hers. It is the date of birth of someone with a passion (Venus trine Mars), who is not what she appears to be (Sun quindecile Neptune; something hidden in her life) with her career, ambition and status coming in the first place (Saturn rising before the Sun) and a tendency to act on impulse with a bad effect (a Mars-Uranus-Pluto combination, opposition Saturn). The 5 positions in earth signs are making her a materialist and a realist. Mercury is inconjunct Uranus, reflecting possible lack of mental balance related to tension and disproportional differences of opinion (arguying). The tightest aspect (disregarding the possible aspects of the Moon) is Saturn opposition Pluto, the combination of the ‘ die hard’ who pays the price for ambition. Saturn and Pluto are in aspect with the Nodes, involving the community. There is more about Saturn Pluto in this post (scroll down). She (perhaps accidently) killed her 18 year old brother Seth on December 8, 1986). These are the transits and progressions for that day, if she was born April 24, 1965. It is a combination of violent (Pluto) death (Mars-Saturn) that is also in her natal chart! It goes together with transit Jupiter in hard aspect with Saturn, Pluto and the Nodes…For some reason she was never charged. That reason is mirrored by Jupiter (the planet of help, luck and profit). Perhaps the Sun quindecile Neptune is reflecting her living with a secret, and a growing obsession with that. Now that the progressed Sun is inconjunct Neptune, she lost balance and took up the gun. Here is the chart with transits for December 8, 1986. Now she killed more people and it was obviously murder. Perhaps she did it because there had been made a negative decision about her career. There are a few transits referring to instability, depression and illness. Three heavy indications together produced a dangerous instability. 2. Progressed Sun is now inconjunct Neptune, reflecting disappointment and lost balance because of that (not being ‘ yourself’ ) after progressed Sun square Saturn last year (when she was denied tenure). It is the combination of a negative press and being seen in a very negative light. 3. In the progressed chart Pluto is still square the Node, just like on the day that she shot her brother. Together the inconjunctions, Saturn and Neptune are the ingredients for illness and depression (being deeply disappointed) and there is an ongoing danger or challenge in communities, families and company. Add the progression of Mars in the 21st of Virgo, opposition Chiron and transit Mars square the Sun and you add anger, hurt and grieve. I wonder if it was a random shooting, since the Saturns of two of the victims (born 14th September 1957 and 22th June 1957) are exactly square the Mars of Amy Bishop. The combination of Mars and Saturn is refers to fear and blocked energy or death. Uranus is in the middle of Mars and Pluto. That combination is for acting on impulse, using force, influence or violence. It is often involved in crashes, too. (Going too fast, getting hurt). Mercury is inconjunct Uranus, reflecting possible lack of mental balance related to tension. The tightest aspect (disregarding the possible aspects of the Moon) is Saturn opposition Pluto, the combination of the ‘ die hard’ who pays the price for ambition. Both planets square the Nodes. In my (Dutch) book AstroTrio you can read about this combination of Saturn-Pluto-Node: Hard confrontations in a cruel society or community. Or see it as: the disadvantages of politics or investigations to a group of persons, This combination was also seen on the day that she shot her brother. Saturn and Pluto together can force you to disregard signals of exhaustion or pain and in transit or progression the combiation might force you to step back. There is often a price to pay for the status or career. Many more people have this combination in their chart. It is a combination that was active in the weeks before and after her day of birth. Perhaps in her chart the combination is related to her Moon in Aquarius (which means that she was born around midday) or to her Midheaven. It would certainly make it hard to express emotions the ' normal' way. Moon-Saturn is about a wall around your private feelings and Pluto would intensify these feelings. So one day you might expect the wall to be destroyed because of the load and weight of the emotions. WHAT IF she is not born on April 24 or what if YOU were born on April 24, 1965? If this is not her day of birth, we'll see about the right one. If it is your day of birth, please take care not to be too fanatic about status or obligations and try to control your impulses. Please realise that a chart has prominent positions, angles and a moon that we don't know when the hour of birth is missing, like in this case. You don't have the same past, genes and situation as Amy Bishop has. This post is about a possible explanation of what happened. If you are in a bad situation, find help! An individual is the result of the influence of a situation , condition, genes, past and training on the reflection of the blueprint that the chart is. And astrology has a wide vocabulary of many possible ways to mirror what is pictured in the sky above. What you read here is one of those ways. Joran van der Sloot, the suspect in the case of the disappearance of Nathalee Holloway, was allowed to attend to his father's funeral, even though he is ' persona non grata' on the Antillian island where he used to live. Paul van der Sloot died last Wednesday. It is easy to see the reflection of the support, help and protection that he gave his sun. His Jupiter is trine the natal Sun of Joran van der Sloot. Here you see the chart of the day of birth of the father and on the outside are the transits on the day that Joran van der Sloot was born. And of course the second one is the most important transit. - An important Jupiter (for travelling, the international and for positivism and confidence leading to success). Sven has Jupiter rising before the Sun; father Yep has a 'calling' Jupiter (without major aspects within 5 degrees). - Sun in minor and major aspect with Pluto and Saturn (a combination that is useful in the charts of individual sportsmen who have to be concentrated). Sven has Sun opposition Pluto and biquintile Saturn; Yep has Sun half semi square Saturn and binovile Pluto). For more examples of Saturn and Pluto's effect in sport, see this link...Together, father and son share their success and a ‘die hard’ constitution (ignoring pain, consistency when it becomes difficult). Here is the chart of his day of birth at noon (no hob available) with transits and progressions. A strategist in the first place, a politician. Pluto is close to Venus and Jupiter and that combination is a sort of a statement for being loved by the millions. The combination of an important Sun and Pluto refers to political leadership (coaching others). The Sun without major aspects within 5 degrees...That is for someone who draws attention, a leader. Unless he is born with a trine with the Moon, like when he is born after 14.00 hours, the Sun is 'calling' in Nelson Mandela's natal chart. See about Mars and Uranus on this blog..., a post written in April 2008 about the general effect, or go to Astromarkt. Use this link to see all posts with the name or the chart of Bill Clinton. If Bill Clinton's Ascendant and Midheaven are in the 6th degree of cardinal signs, like in this chart of Astrodatabank, transit Saturn and transit Pluto will be afflicting his Ascendant, his Midheaven and the crucial midpoint AC/MC this year. It has been most fortunate that today transit Jupiter is inconjunct Ascendant and Midheaven and quindecile AC/MC. Jupiter is the symbol of doctors and of what cures you. Later this year transit Jupiter will have moved on in Pisces, but the hard guys (Saturn and Pluto will still be in hard aspect with the Ascendant. That might force Bill Clinton to take care and perhaps this pain and operation should be seen as a warning not to force himself and to consider his age and health. A few weeks ago, on Xmas day, Jasper Schuringa subdued Umar Abdulmutallab, who intended to become a suicide terrorist in an airplane, near Detroit. Read the story here... Above you see the natal and progressed positions with transits for that day for Schuringa. There is no hour of birth for the men, but there is still a lot to see in the positions of their days of birth. Take for example the oriental Jupiter for the hero; he is an international from the very start and becomes famous while travelling. Jupiter is the symbol of the international. a. Schuringa has Mars trine Pluto and that is the combination of self defence and/or using force. On the day of the flight transit Pluto was opposition progressed Mars. That is a sort of a trigger aspect that 'hit' his tendency to be brave. b. Umar Farouk Abdulmutallab, the terrorist, was born December 22, 1986. What he shares with Schuringa are the combinations of Mars-Saturn and Mars-Neptune ( Mars 90 Saturn quintile Neptune; Schuringa has Mars opposition Neptune and semi sesquisquare Saturn). Sharing those kind of aspects are not making a relationship fun:). Mars-Neptune combinations are frequent in the charts of criminals and those who fight them and that is exactly mirroring what happened here. c. Look at the synastry between them and you see that the same planets are interacting, including the Node. For example: Saturn of Umar is conjunct the Mars of Jasper. See Cafe Astrology about this aspect in synastry and you may understand that Jasper noticed that Umar was afraid. Jasper's Saturn is inconjunct the Mars of Umar, so that they are sharing a Mars-Saturn combination. The complete combination of aspects could be read as a group event related to murder and cancelled ambitions. When Jupiter is in aspect with Saturn, you are to expect 'ups and downs', slow (but steady) growing careers and hierarchy might be an issue. Mr. Pachauri, who joined Al Gore in winning the Nobel Prize for the global warming story is now the object of controversy, because of the mistakes about the glaciers in the Himalaya and because he has written a romantic novel that increases the temperature just by reading it:). There is no known hour of birth, but...it is easy to see the man of controversies (Sun exactly square Uranus) and the fact that communications (and writing) are part of the 'ups and downs': Mercury is square Jupiter and Saturn. Is he an artistic talent? With Moon in Pisces, Venus quintile Neptune and Moon probably opposition Neptune, I'd guess so. I also like his Venus quintile Quaoar, reflecting the talent to creatively shape new worlds and new concepts. Pluto (the symbol of strategy, politics, power, influence, money and potential) is the first outer planet rising before his natal Sun and that means that his orientation is in the Plutonic field. Noel Tyl writes that Pluto oriental is the symbol of the importance of knowing the right kind of folks. Pluto doesn't make any aspect in sign or orb 5 degrees. That is an important reflection of power and knowing people - networking - at any possible level. Mr. Pachauri knows the most important opinion makers in the world. About two years ago he had a life changing aspect: progressed Sun squares his important Pluto! That is when he got the Nobel Prize, together with Al Gore, whose Pluto is conjunct the Mercury of Pachauri (and that means influence on his ideas). The influence is mutual: Pachauri's Pluto is conjunct the Ascendant of Al Gore. Elvis’ talents made him a millionaire. Tom Parker used to say that it was his influence that made Elvis a millionaire. Of course, he was important at the start of Elvis' career. Fact is, that the Ascendant/MC of Elvis is square the Midheaven of Tom Parker. That shows us how the essence of being Elvis was related to the position of Tom Parker. Also Elvis’ Jupiter (symbol of prosperity) is square the natal Quaoar of Tom Parker. That tells us that Elvis had a positive influence in creating a new world for Parker. Elvis' Quaoar receives a trine from Tom Parker's Uranus: that means that Tom Parker was the spark to create Elvis' new world. They changed each other's lives. Success is written all over Tom Parker's chart! Sun, Jupiter and Pluto are the most important objects. Here is the chart, with the positions on the day of birth of Elvis Presley on the outside. Tom Parker's Pluto rises before the Sun, reflecting the importance of power and money. Pluto doesn't make major aspects in sign or orb 5 degrees. I use to name that a 'calling' Pluto. The fact that there is no major connection with the rest of the chart allows the planet to function at any kind of level. That important Pluto is quintile the angular Jupiter, the dispositor of Midheaven. It means that he was able to find creative ways to a successful position in society with a focus on money and influence at any possible level. It made him a rich man. The combination of success is prominent in his chart: there are a calling Jupiter, Pluto AND Sun. The unaspected Sun points at leadership and drawing attention. The Sun is quintile Saturn and Saturn trine MC for drawing attention in a creative way, managing to be in charge in a professional way. The Pluto of Parker is trine the Saturn of Elvis, who had Saturn inconjunct Pluto. Maybe that was a warning for bad influences. The fact that they shared a Saturn-Pluto aspect and that there was a connection between their charts, might point at problems with management and control in general, with Tom Parker stepping into the gap. He also was a good liar and communicator: Mercury makes major and minor aspects with all other positions in the chart, including a 15d distance with the Sun and a binovile with Jupiter, a 75 d aspect with the Ascendant (if the B time of Astrodatabank is correct). When he emigrated to the USA transit Uranus was square his natal Sun and the progressed Sun was semisquare Jupiter, which is a combination for a positive change. Two years earlier his progressed Sun was conjunct Venus and later square Saturn, so maybe a sad love story made him decide to leave the country and the past behind. But there is another possibility: avoiding military service! Later, in 1948, he was given the honorary title of 'Colonel'. Well, nobody knows why he was such a secretive person, but the Moon opposition Saturn and square Neptune and Uranus, in the equal eight house mirrors the ill relationship with his relatives. As the Moon is afflicted and in Libra, he would feel the need for company, but there was that wall...(see the post about Moon-Saturn aspects). I suppose that he was born 4 to 5 minutes earlier than 11, because when he started to work with Elvis Presley in 1955 the progressed Midheaven was at 2.1 Aquarius in the 11 0'clock chart. A little earlier and transit Chiron would have crossed the Midheaven that recently would have changed sign. It was with the progressed Sun inconjunct Mars, so maybe it was not the best period in life for Tom Parker. The progressed Sun would soon be inconjunct Uranus, too. His life would change in a disproportionate way. But, in April 1954 the progressed Sun was conjunct Quaoar! That is when a new period in his life started, the creation of a brand new world that would bring him into contact with Elvis Presley. He opened a booking agency in Nashville, TN! Right now, Tom Parker alias Dries van Kuijk has transit Pluto opposition and transit Saturn square natal Sun. Maybe someone is investigating his life story? *) Quaoar is the symbol for creating new worlds. See the label (below this message on my blog) for more examples of the effect of Quaoar. Obama is a gifted speaker (see the post about his oratory skills. What he says is written by a team of speech writers. The team leader is Jonathan Favreau, born June 2, 1981. He also worked for John Kerry. I guess that he was born in the afternoon or night, with the Moon before the Sun, both in Gemini, the sign of communications. Mars biquintile Pluto: a creative way to fight in politics, using influence. There are several ways of lying. You can simple not give any info, you can lie as a habit and you can twist the facts. (...) Most of them are specialized educated persons who are aware of the impact of what they say or of the responsibility that they have as an official spokesman. That is why they are careful and that is why they like to limit themselves to established facts only. (...) You just don't tell it all, sometimes because it is not official, or allowed or decent. Aren't those aspects the essentials of what he is doing: using influence in a creative way, special kind of writing within limitations (like protocol, political restrictions)? Jon Favreau announced that his work for Obama will be the final political job as far as he is concerned. He thinks of starting a creative writing career, writing screenplays, and yes, he can! He has Mercury square Jupiter (orb 3 d) AND biquintile Uranus. This combination is for inventive writing. Mercury is semi quintile Mars, for creative discussions. He can write very fast, too, and quickly (Mars) change (Uranus) subject (Mercury). With Venus in Gemini opposition Neptune there is the question of artistic talent. Venus is in aspect with Jupiter AND Neptune and that promises a lot of devoted fans. He won't have problems to find an editor. The positions in the chart are unknown, but perhaps Mercury and/or Jupiter have an important position on the angles. That would add even more success to the other nice combinations of aspect on the day that he was born: Venus and Mars in aspect with Jupiter and Pluto. That is a combination for a successful passion. There is only one 'but' and that is Venus inconjunct Uranus. That aspect might refer to misbalanced sense of rhythm and losing balance when he falls in love. For a speech writer the aspect might mean that he gets carried away by the love of change, and that happens to be a word that he uses quite often:)! Just like President Obama, Jon Favreau has an unaspected Quaoar, so that creating a new world is an important mission in the lives of both. When two people cooperate, it is important to have a good match. That is a fact in the relationship between Obama and Favreau. Their Suns match and that is important for sharing a vision. His Jupiter is trine his so that their convictions are in line. But their Venus and Mercury don't match at all. They couldn't be lovers and they might not share the same ideas always. The Saturn of Favreau is exactly trine the Moon of Obama and that is perhaps a statement for shaping the emotions of the president.